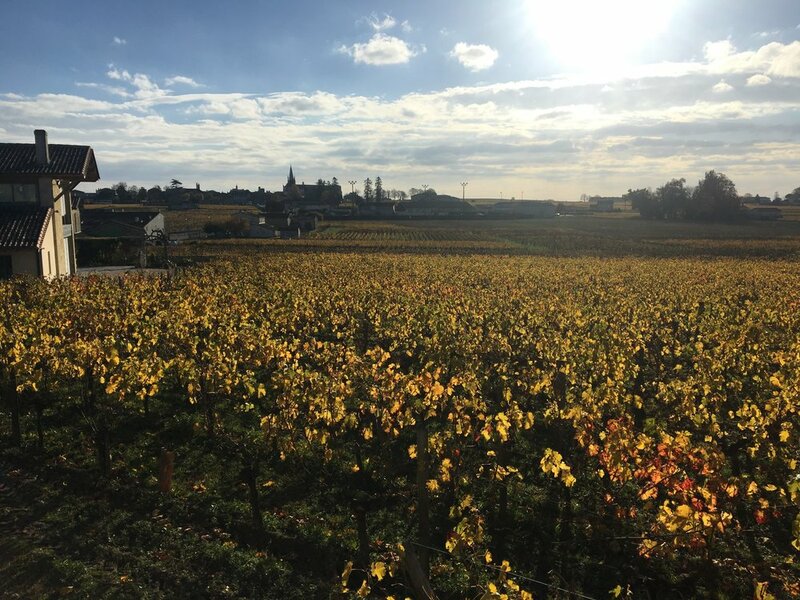 I’m living in an area of France that is not far from the Bordeaux wine region—one of the best known and most historic wine growing areas in the world, with history dating back to Roman times. So I was excited to take advantage of the proximity to different wineries. However, when I first started looking into it, I was overwhelmed. With over 7,000, I had no idea where to begin. Plus, when I’m planning something, I have a compulsion to thoroughly research all options before making a decision—no matter, it seems, how small. Psychologist Barry Schwartz wrote a book that I strongly relate to for this reason about the paralysis that occurs when one has too many options, called the Paradox of Choice. In more recent times, I’ve discovered that the best approach for me to take in order to not go nuts planning something is to eliminate categories and even artificially narrow my choices. In the case of visiting Bordeaux’s wineries, this meant first choosing a sub-region. The other language teaching assistants and I decided on Saint-Émilion, an easy choice, as it has possibly the most well-known appellation, or type of wine, in Bordeaux. This includes many wineries that produce many grand crus, a designation for the highest grade of wine in France. 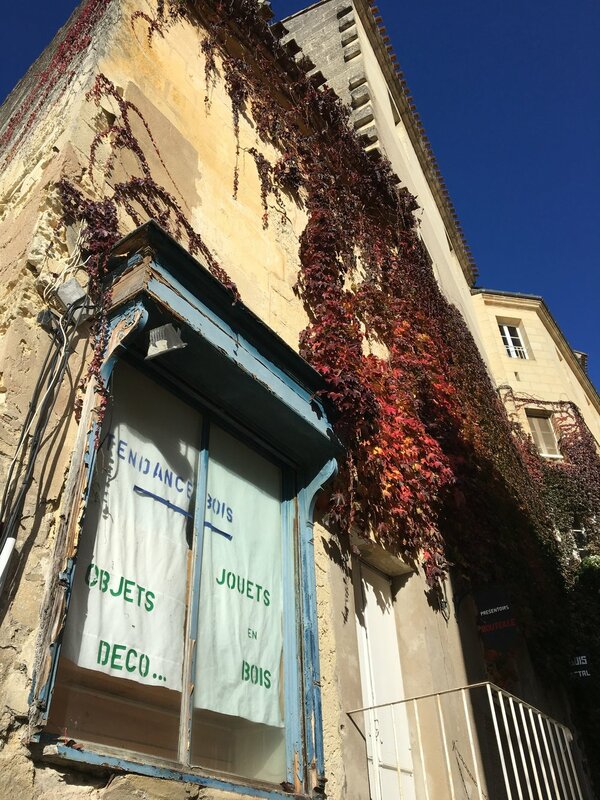 The region also has a beautifully preserved medieval village, also called Saint-Émilion, with limestone buildings and hilly cobblestone streets. 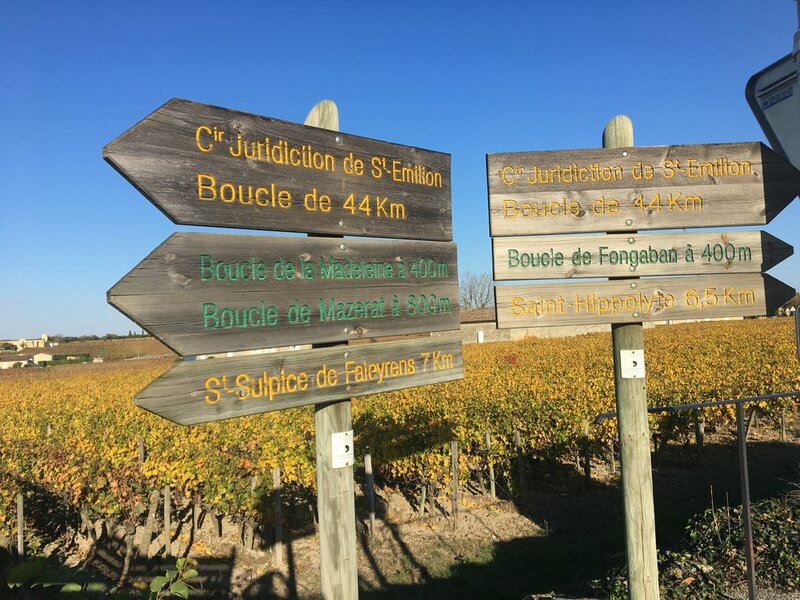 After deciding on the region, I decided it would be easier to contact the tourist office than search through every vineyard in Saint-Émilion—especially since we were planning to go on Sunday, when a lot of wineries would likely be closed. (In France many, if not most stores and other establishments are closed on Sundays or open just in the morning, even in cities). The tourist office sent me a link with two or three recommended châteaux of the day, and suggested I contact the proprietors directly for an appointment or rendezvous as they say (in French its meaning is actually totally PG). These chateaux were also the only two that I think were open for that Sunday. Two wineries in one day seemed like a good number, so I booked a reservation with one through a third-party website and emailed and received a direct response within the next day from the proprietor of the other vineyard. 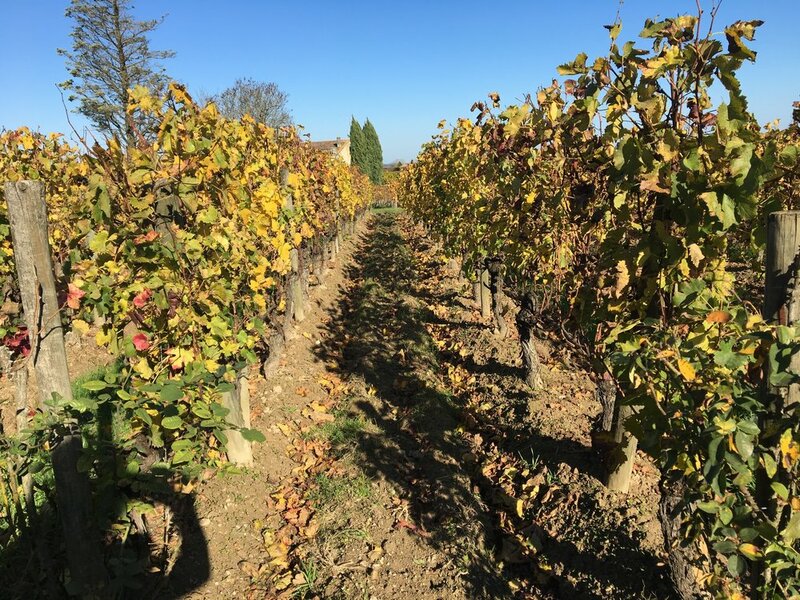 My favorite of the two vineyards we went to was family-owned Château La Rose Côtes Rol, which makes a grand cru using the blend of merlot, cabernet franc, and cabernet sauvignon grapes that is typical of Saint-Émilion. 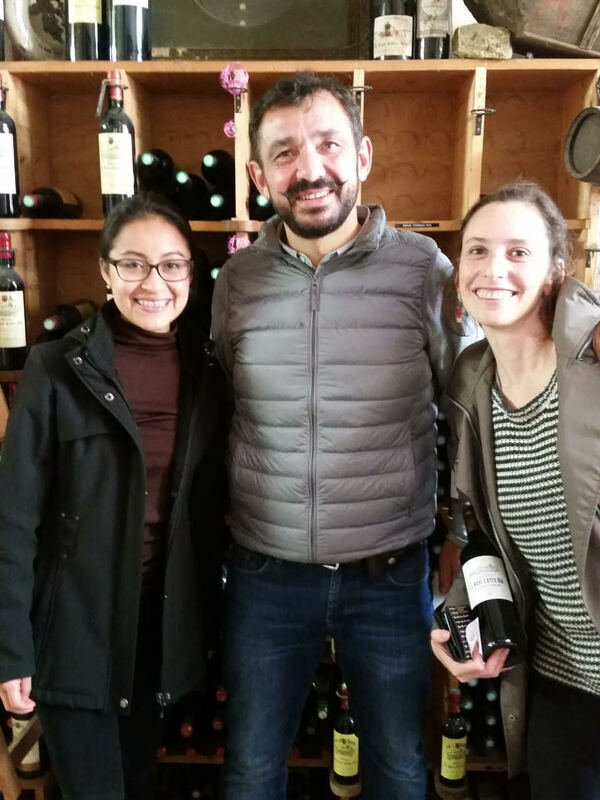 But as the proprietor Pierre Mirande told us, even using the exact same grapes from the same soil grown in the same conditions, the wines vary greatly from maker to maker. One of his goals when making wines is to avoid any bitterness, which I liked (the first winery we went to on the other hand had very bitter wines). He poured us four red wines from several different years in the 2000s (Fun fact: around 90 percent of wines in Bordeaux are red). And we even got to do a champagne tasting with a husband and wife who own a vineyard in Champagne and were down in Saint-Émilion for the day. The château itself was authentically rustic, with shelves of wooden barrels in a big open warehouse area, old family photos, and bikes hanging above. Pierre was even wearing his mustache styled to look like his grandfather’s. As seems to be so often the case these days, these joyous, communal moments happen against a backdrop of corporate depersonalization. Pierre told us that it is harder and harder to own a family-run vineyard like his. One reason is that when children inherit the vineyard from their parents, they have to pay a 30 percent estate tax. Many vineyards, like one near his, are now owned by insurance companies like France’s AG2R, he told us. It’s interesting because, from my perspective, France feels less dominated by corporate capitalism—with fewer work hours, a universal health insurance system, and a general feeling that not everything is about money—but from what people here have told me, there is the same sense as we have in the U.S. that regular people are struggling to afford a decent life while the rich get breaks. The vineyard trend seems like just one illustration. And definitely check out the Cité du Vin in the city of Bordeaux to learn more about the history of wine, the wine regions of the world, and how wine is made. un petit peu: a little bit (e.g. je voudrais un petit peu du vin).